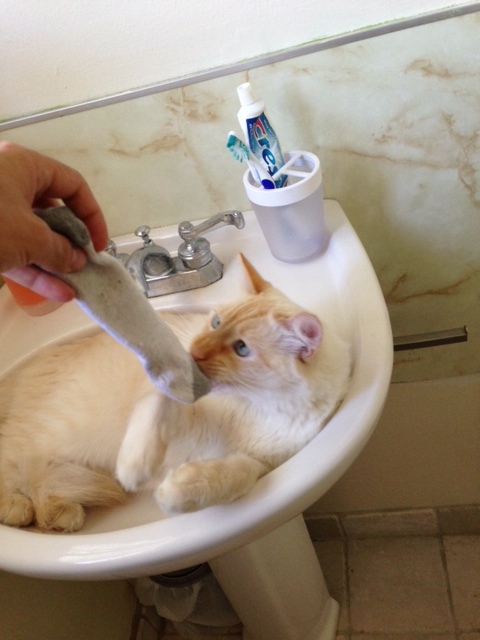 We all know about the sock thief. We wash our socks, we dry our socks, and we fold and clump our socks. But there’s always one sock, alone, on the outside of the clumps, destined to rest in the back of the sock drawer until we can no longer stand to look at it and toss it in the trash. Where has the sock’s mate gone? In the folds of the dryer? Stuck in the wall crevice of the washer? More likely, there is a sock thief among us, traveling house to house, state to state. I imagine the sock thief shacks up with the tooth fairy and they travel together, socks and teeth their only methods of payment, but no one will accept anything other than hard earned cash. It’s difficult to trade socks for cash, and I wonder if there are sock scavengers who dive into trash bins in dumpsters and in landfills to find the lone socks that have been tossed away. These scavengers arrange meetings with the Sock Thief to try and pair the socks, and once they find a pair one of them walks away with feet now protected, while the other keeps searching. The Sock Thief will never grow tired of stealing socks from dryers and washers, because the Sock Thief needs to make a living. Have you accounted for your socks today? This entry was posted in Stories and tagged cats, clothes, humor, socks. Funny but my neighbor had a cat I called ‘socks’..for the beautiful black cat had white paws and if I remember correctly would often be seen running with someone’s socks in it’s mouth.